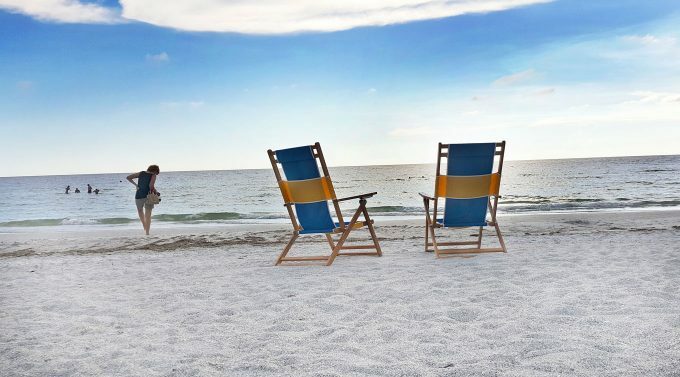 Overlooking the sparkling white sands of St. Pete Beach, the Sirata Beach Resort invites you to sit back, relax, and enjoy life on the Gulfside of Florida. 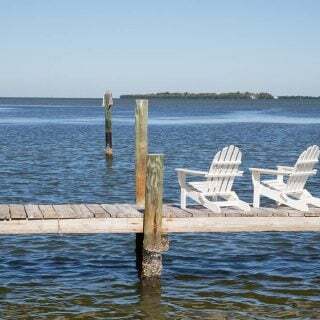 Can you say Paradise…….I certainly did! 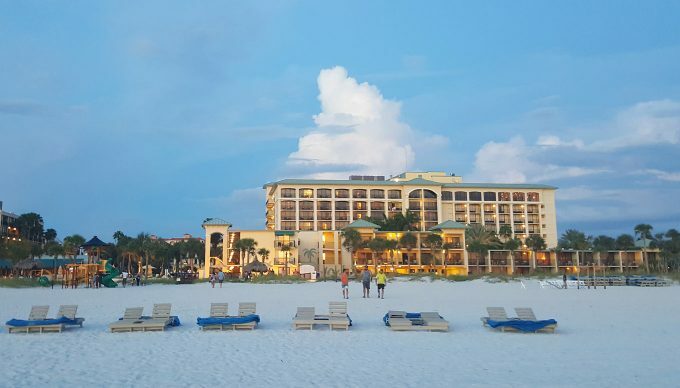 My friends at Family-friendly Sirata Beach Club were kind enough to allow me to let me stay with them in exchange for my honest review of their resort. Although this is a sponsored post all of the text, images and opinions are honest and 100% my own. 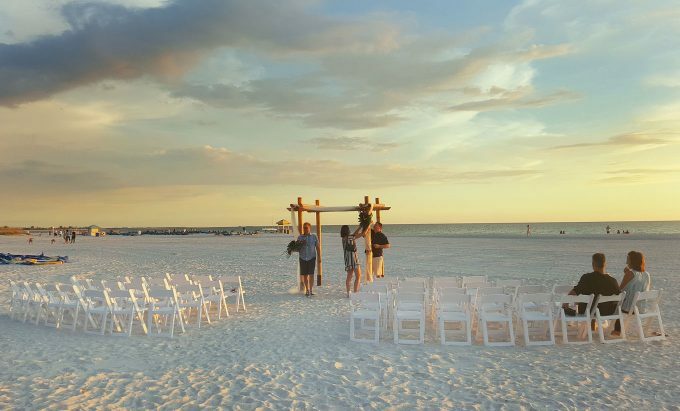 In addition to being a family favorite among St. Petersburg beachfront hotels, the Sirata serves as a picture-perfect beachside backdrop for weddings. We got to see a few weddings during our stay at the resort and they were beautiful! 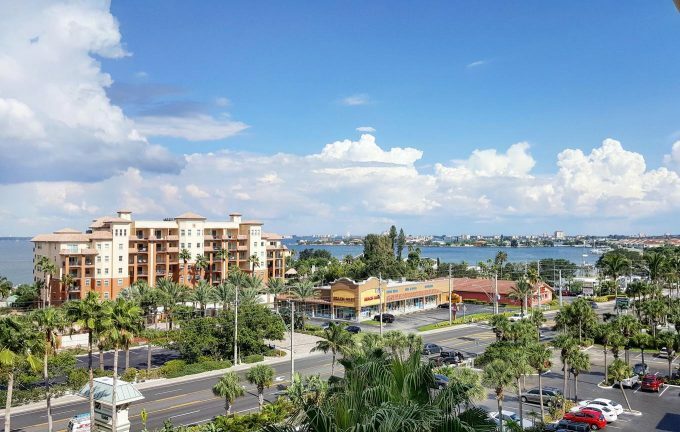 Our room was situated on the 7th floor of the Sirata, offering stunning views of the intercoastal waterway. Which we enjoyed from our private balcony. Every room or suite offers Wi-Fi access, cable TV, a refrigerator, and a comfortable layout. 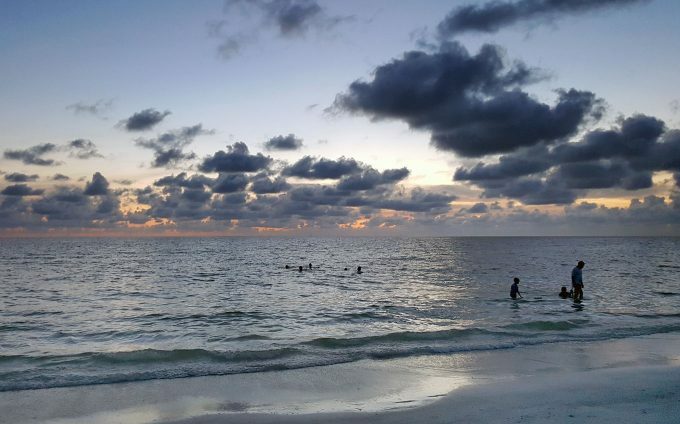 Sunsets on the gulf are spectacular. Even though it was a little cloudy at sunset, we enjoyed the dramatic hues that Mother Nature provided for us. 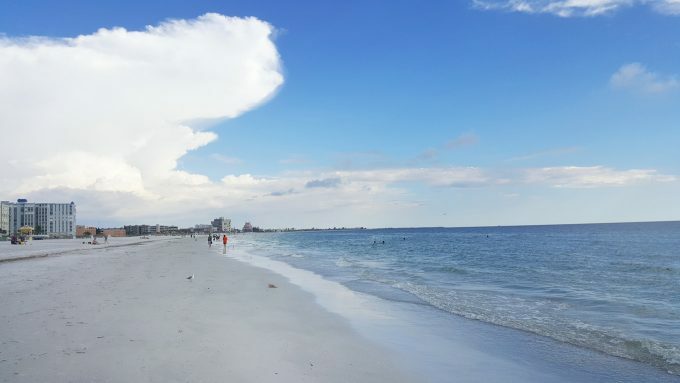 How can you not love the beach and St. Pete’s Beach is ranked as the #3 Beach in the country. Trust me when I tell you, that honor is well deserved. 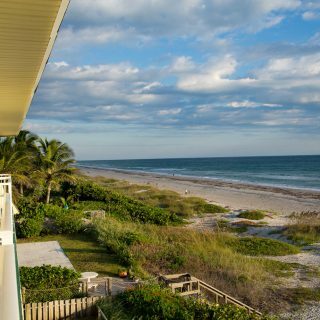 Florida is blessed with miles and miles of beachfront. 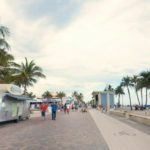 And because we have so much beach in Florida, you never have to worry about crowds (unless you head to Miami). Storm clouds are a way of life in Florida, but the rain never lasts very long (if it comes at all). 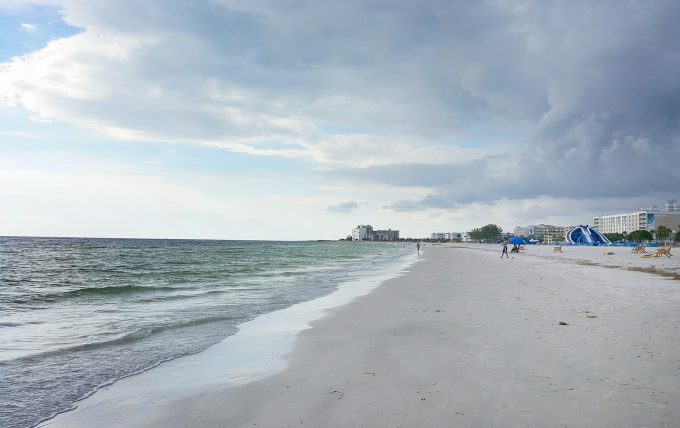 But the clouds add to the natural beauty that makes this beach so special. Dark or fluffy white we’ve got the best clouds. The Sirata Beach Resort is family owned in an era when locally owned and managed hotels have become increasingly scarce. The 382-room Sirata Beach Resort & Conference Center sits on the site where their grandfather bought a tiny 46 unit motel in March of 1962. 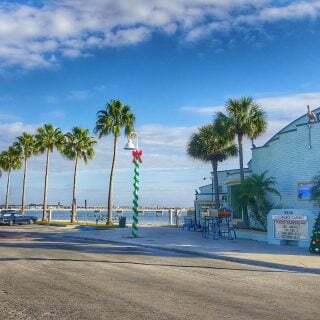 With three signature restaurants and two of the best beachfront bars in St. Petersburg, Sirata Beach Resort is a one-stop destination for guests and locals alike. Each of the dining options at Sirata offers a distinct and unique menu, complemented by an inviting tropical aura and impressive Gulf views. 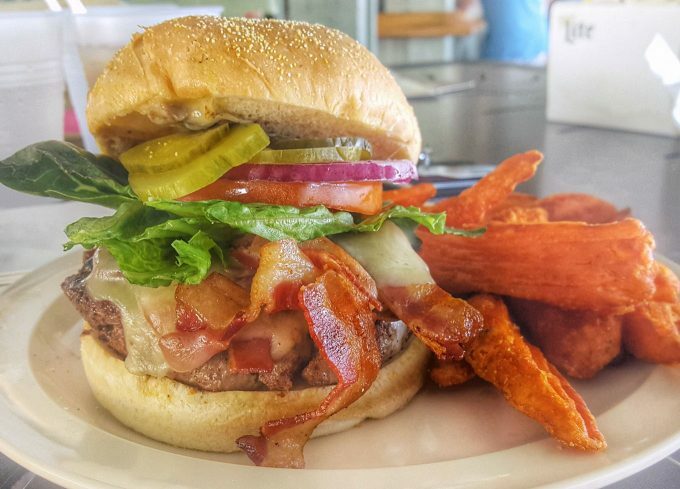 You’ll find refreshing beachside cocktails and delicious bar food like this Bacon Cheeseburger at Harry’s Beach Bar. 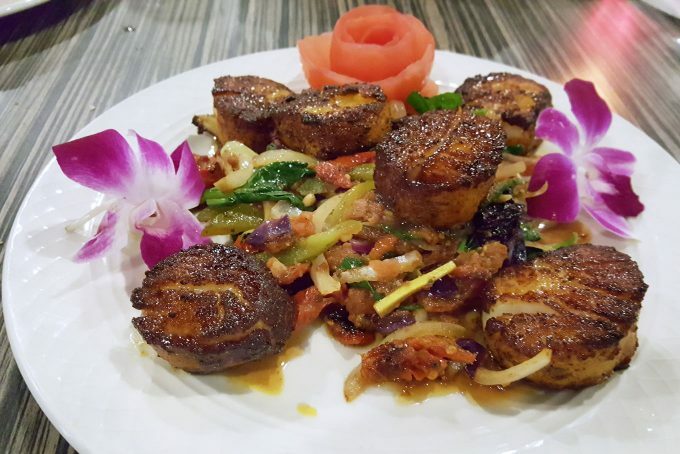 You’ll also find regional specialties like these Peruvian Scallops with a lime chili sauce at their signature restaurant the Compass Grille. After dinner there’s no better spot on the beach than Rum Runners Bar & Grille for cocktails and live music. 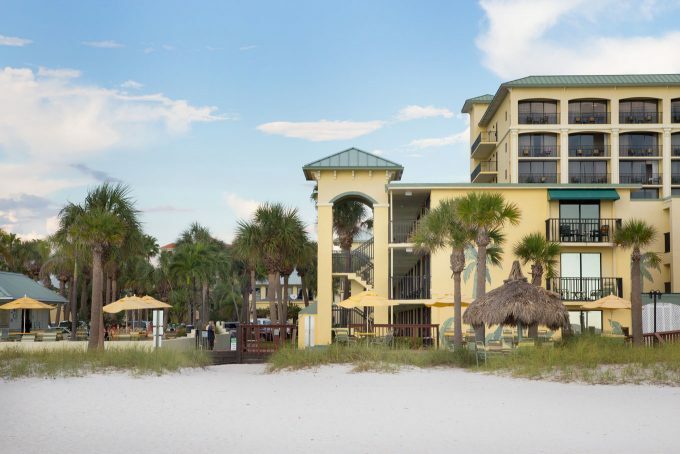 The Sirata Beach Resort has something for everyone. 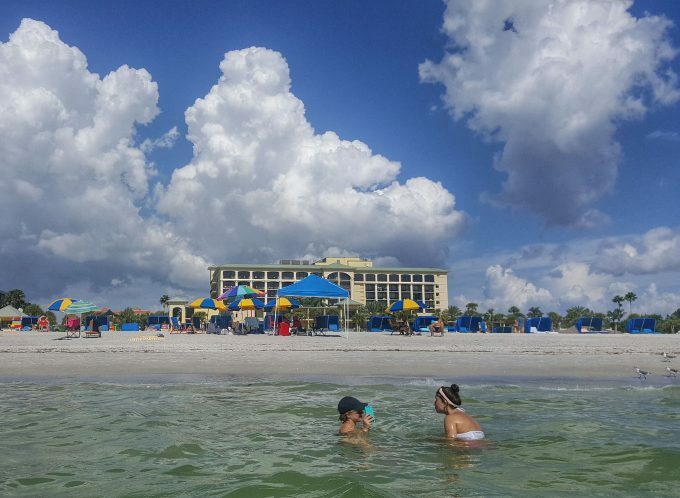 World class beaches, great food and it’s all just minutes away from downtown St. Pete. That’s if you feel the need to leave the beach! You also have access to the PSTA Trolley System , which can take you from Tarpon Springs to downtown St. Pete’s. 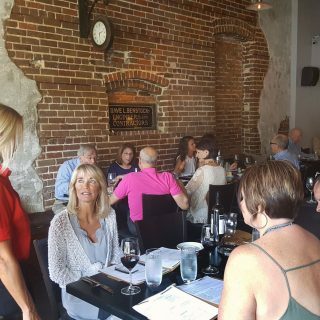 It’s a great way to see Pinellas County and leave the driving to someone else. Click on the link for more information on the Sirata Beach Resort. Follow them on Facebook, Instagram and Twitter to keep up to date on what’s going on at the resort. I can’t tell you how much this makes me want to get on a plane right now. What a beautiful venue and trip. Thanks for sharing all the ‘deets’.